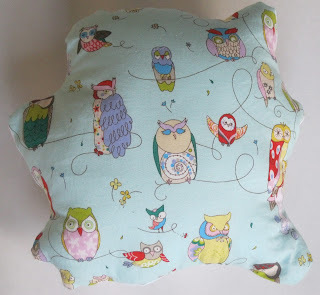 Here is an owl softie I made for my son, Benjamin. 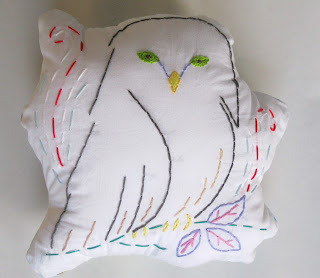 I used the barn owl from the Sublime Stitching Birds of Prey pattern pack, and enlarged it. My color inspiration for the stitching comes from this spotted owl fabric by Alexander Henry that I just love. This is a handkerchief I made as a Christmas gift. I decided to do it in redwork, because I thought it went with the blue really well ... and I was a bit pressed for time too! 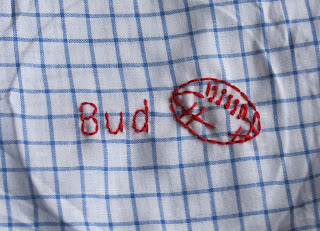 I used letters from the Sublime Stitching Stitch It Kit Stitch it Kit, and the football is a random transfer I had laying around that I am not sure where came from. This is another handkerchief I made for my dad for Christmas. 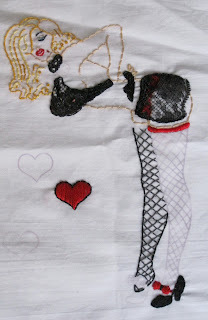 This was another one I did in redwork. 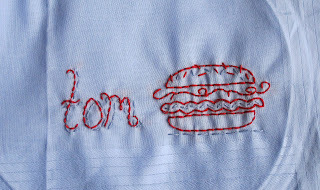 The lettering is from Aimee Ray's Doodle Stitching Motif Collection Book , and the cheeseburger is from the meaty treats pattern pack by Sublime Stitching. 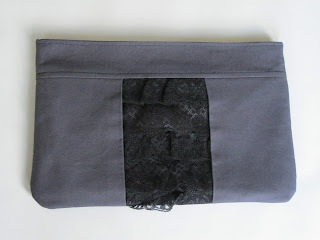 This is a clutch I made using a sewing pattern by Keykalou. I altered the pattern to have lace in the center, because I felt like it was an inexpensive way to dress up the quilting cotton I used for the body of the bag. I have been using this when I go to holiday parties. It is a lot of fun. 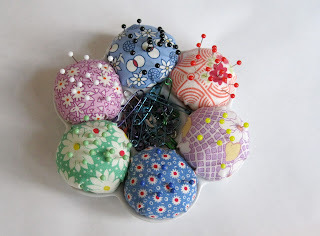 And, this little cutie is a little flower pincushion I made using a pattern from I Love Patchwork. I used some reproduction fabric scraps I had sitting around. 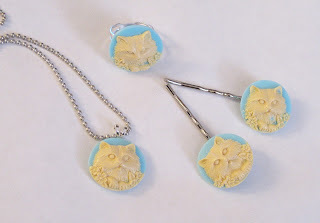 This is a set of cat cameo jewelry/hair pins that I have made for my mom for her birthday next month. I do not think she reads this blog, so I should be safe! She loves cats, and I just thought these cabochons were so cute! !